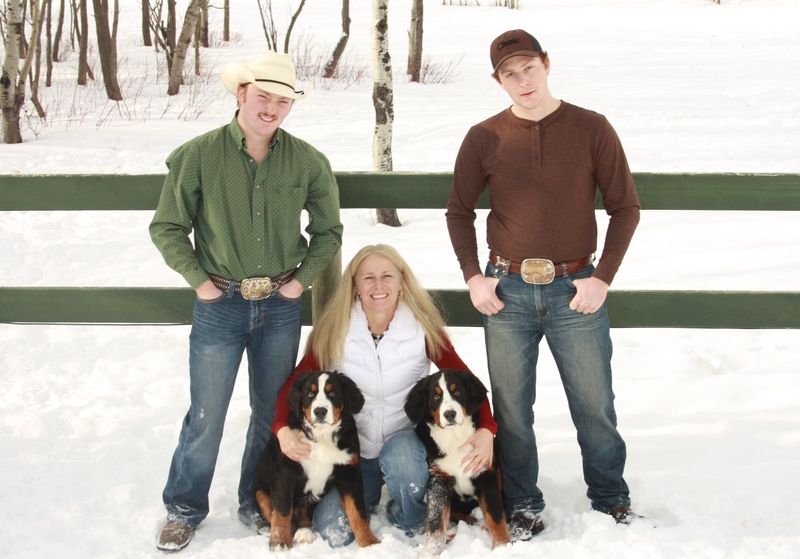 Hi, I am Tammy Kelly owner and breeder of Bernese Mountain Dogs, with my sons, Cody and Clinton. We reside just outside of Brandon, Manitoba. As a child I grew up around dogs in the family and my love for dogs has never changed as I got older. Bernese Mountain Dogs (BMD) entered our life when my son, Cody, asked for a pup for Christmas. After much research it was decided that a BMD should enter our world and change our life as we knew it, this is when Heidi entered our lives. This cute bundle of fluff grew into a beautiful ambassador of the BMD breed. We have been very fortunate to have had help and guidance through the years from other BMD breeders. We raised our first litter in 2005 and have met the most wonderful people that have given our puppies a loving home throughout the years. 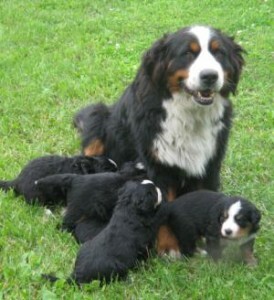 Heidi raised 4 litters of pups in her lifetime and lived to be 10 years old. Heidi was put to rest in 2011 and will never be forgotten as she rests under the shade of the tree in the pasture. Our breeding females are Kiwi and Meeka. Harley, who is now retired after 3 litters, enjoys playing Grandma and babysitting. Kiwi had her first litter in 2014, her second in 2016 and her third in 2017. She does a wonderful job of putting her solid and stocky build into her beautiful pups. Meeka is an outstanding female that we have raised as a pet and put into our breeding program. She had her first litter in 2017 and produced outstanding puppies and was a fantastic first time mother. We are fortunate to have bred to some beautiful outside males and have met many wonderful people along the way. Our litters are carefully planned and we only raise a maximum of two litters a year. I am a member of the Canadian Kennel Club and the Bernese Mountain Dog Club of Canada, our dogs are CKC registered. 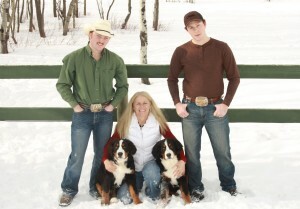 Kelly’s Bernese Mountain Dogs is located just outside Brandon, Manitoba, Canada at Chater. If you would like to stop by, give us a call for directions.